At the tender age of 4, my son probably isn’t ready to create his first website yet, not on his own at least. But watching him lately, it amazes me how he can pick up my iPhone and navigate straight to my pictures and even manages to take a great snap himself. Where do kids learn this stuff these days? With that in mind, I am strongly considering starting a website as a joint project on the subject of books as there’s nothing he likes more than his bedtime story. That way, we are sneakily combining the online world with the good old real world. Online scrapbook: Maybe you don’t want to create a site around a particular topic. In that case, why not create an online scrapbook where you can upload pictures of their drawings and creations. Family life: Unless your kids at the teenage “I hate my parents’ stage”, then why not create a site all about your family. 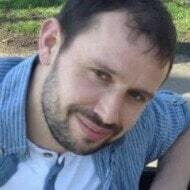 Upload images of family members, give them short bio’s and get the rest of the family involved. School work and projects: If you’re anything like me, you probably have tons of drawings and writing that your child’s created at school. Why not upload images of this school work to your site and store them digitally. Town: As a kid, I was always quite ignorant about where I lived but these days, I think it’s important to know the history of your town or city. Go exploring landmarks, museums, and libraries and dig up information on your town and record your findings on your website. Pets: Do you have a pet? You could take regular pictures and watch them grow through your website. You could even add a blog to your website and come up with fun stories about your pet to really get the imagination going! 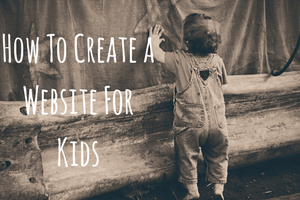 Before writing this article, I sat down with a pen and paper (yes, they still exist) and searched Google for “website builders for children” ready to create a long list. My intention was to then sign up and review them individually. I was quite disappointed with the number of specialist kids website builders currently out there and to be quite honest, I didn’t find anything worth signing up for (business opportunity anyone)? With that being said, there are a few generic platforms out there that are easy enough for kids to use. Although, depending on their age, they may need your assistance, at least in the beginning until they learn how to edit the site on their own. When I get around to creating a website with my son, Weebly is what we’ll use. 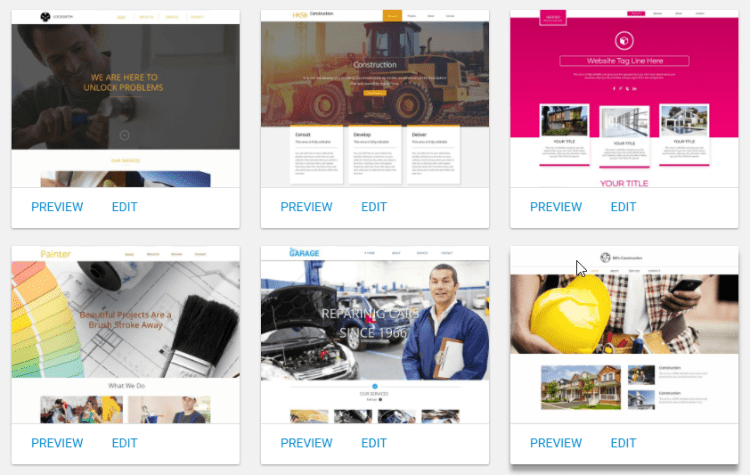 It’s one of the easiest website builders out there and you create your website by clicking on elements such as text and images and dragging them into position on your page. I’ve seen generally positive reviews from kids age 9 upwards but I would say, younger children will probably require help from yourself. At least in the beginning. 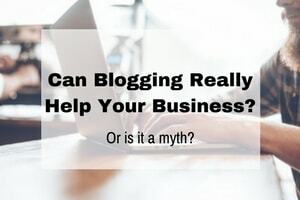 You can create a free website with Weebly and never pay a dime as long as you can put up with a subtle advertisement at the bottom of the site. Like Weebly, WebStarts also uses drag ‘n’ drop technology which is the best way for kids to get started. What I like about it most is, they seem to have left out a lot of the fluff that you find with other website builders that’ll you’ll probably never even use anyway. The result, a simpler, user-friendly experience. You can also create a completely free website and you’ll find an informative video tutorial that’ll walk you through the process to help hit the ground running. 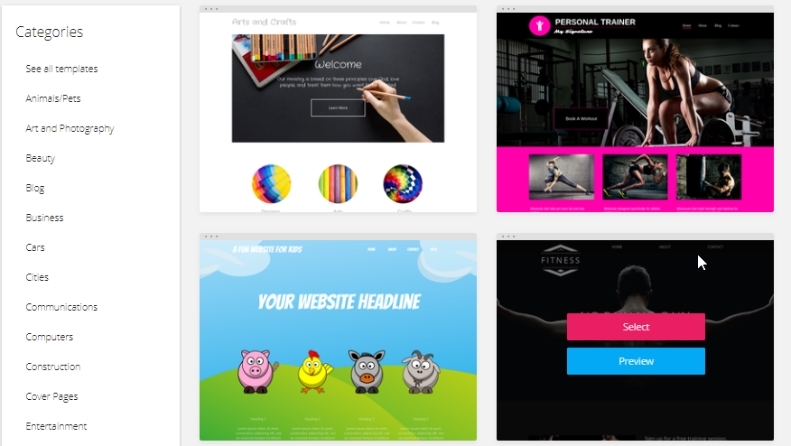 With a lifetime free membership option and a huge range of great looking, customizable design templates, there’s a lot to like about SiteBuilder.com and a good option for your child’s website. I should warn you that in my experience their support platform isn’t the best. If you’re only planning a fairly simple website you should be fine as you may never need to contact them. Ease of use is the main reason they made the list. I’m sure I don’t need to remind you but it can be quite easy to forget when you’re thinking about creating pretty, child-friendly websites that the internet can actually be a dark and scary place. I strongly recommend closely monitoring the website and make sure they don’t divulge information that they shouldn’t such as their full name, address or school etc. As there aren’t really any website builders specifically for children that I actually recommend at this time, you could do a lot worse than go with one of the platforms listed above. If I were you, I’d actually create a free account with a least two of them and have a play around yourself before deciding on which one is the best fit for your child. In the meantime, I’d love to hear how old your child is and what you plan to do with your website, let me know in the comments section below! previous post: How To Build a Daycare Website That Parents Will Love!